How I wish I could time travel, and get Hodgson's reaction: "Good news, and bad news, Hope! People were still reading your stories in 1985! He is still read in 2011 ;D A lot more than you can say for a lot of 85´ writers who are already forgotten. Hodgson´s tragic end has stayed with me. His death in this insane war, and not because he was an innocent bystander but because he went back to the trenches after being injured in the first place, made this war a lot more real than a dozen tv-docus. He must have been very convinced of what he did. thanks for joining, wowart, and i hope you have some fun here. much appreciate your posting the Terry Oakes Sphere artwork! we've been slowly building a Sphere site/blog on wordpress, but i can't recall seeing this cover before. would appreciate the date? James, i'm not sure why, but reading The Thing Invisible in magazine form made for a much more enjoyable experience, and not only because of the illustration and neat cartoon at bottom (though they helped). Also, of all the various Weird Tales relaunches over the years, it's the short-lived (four issue?) Moskowitz editions interest me the most. i've not seen any of them, but wasn't Robert Weinberg also involved? I've recently bought the Wordsworth Edition of this, with the red cover, and am a bit shocked that the title is misspelled on the cover - it's "Carnaki" on the front, spine and back cover, yet the back cover blurb spells it correctly. Looking at Hodgson's biography on Wikipedia, his other work looks especially intriguing. There's an American edition of The House on the Borderland that's selling for $5.95 on Amazon USA. 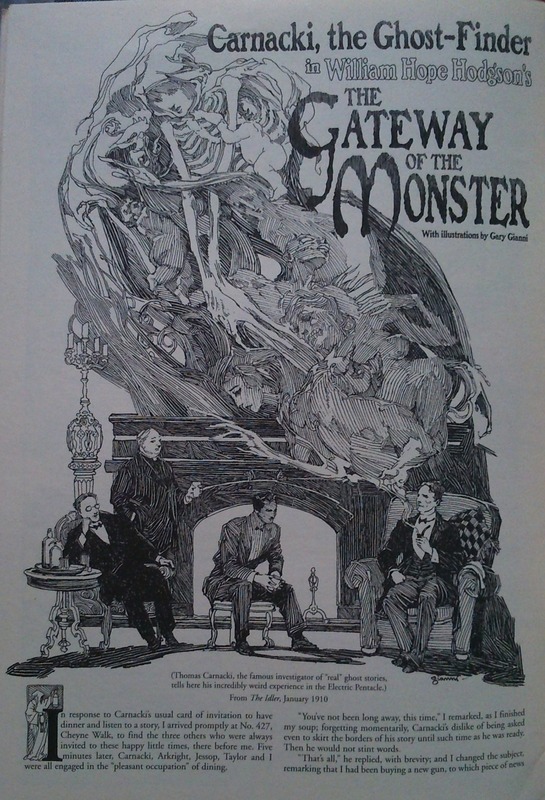 I always liked the Carnacki stories (The Searcher of the End-House especially, The Thing Invisible least of all), but I think the backstories invented by Marcus Rowland at www.forgottenfutures.com/game/ff4/worldbk4.htm are far superior to the Kidd and Kennett stories. The Horse of the Invisible was dramatised in the 1970s in PBS' Rivals of Sherlock Holmes series (played by Donald Pleasance, who did a good job but did not fit my conception of the character. I assume I had read the stories by then but have no idea where). I’ve only discovered Carnacki: The New Adventures edited by Sam Gafford, Ulthar Press, December 2013. Most of these authors are unknown to me but the book has a good cover. A couple of years ago, a friend gave me a set of 3 pamphlets of William Meikle's Carnacki: Ghosthunter tales. Each pamphlet comprised a single story. It came with a sort of faux dust-jacket that wraps around the booklets. The titles are The blooded iklwa, The Larkhill barrow, and The sisters of mercy. I found the first story, a tale about a haunted Zulu spear, an effective pastiche of the original tales. The second one seems to have intended to be something along the lines of "Carnacki goes to Arkham by way of Innesmouth" but for whatever reason, I found the result lacking in style and interest. The third tale was by far the best of the three. It seemed faithful to the source material, but added some new elements that worked well in terms of storytelling and atmosphere. Apparently William Meikle has written quite a bit of this sort of thing, as well as pastiches of other writers whose work has been explored here in the Vault of Evil. God! This was a bugger to find. 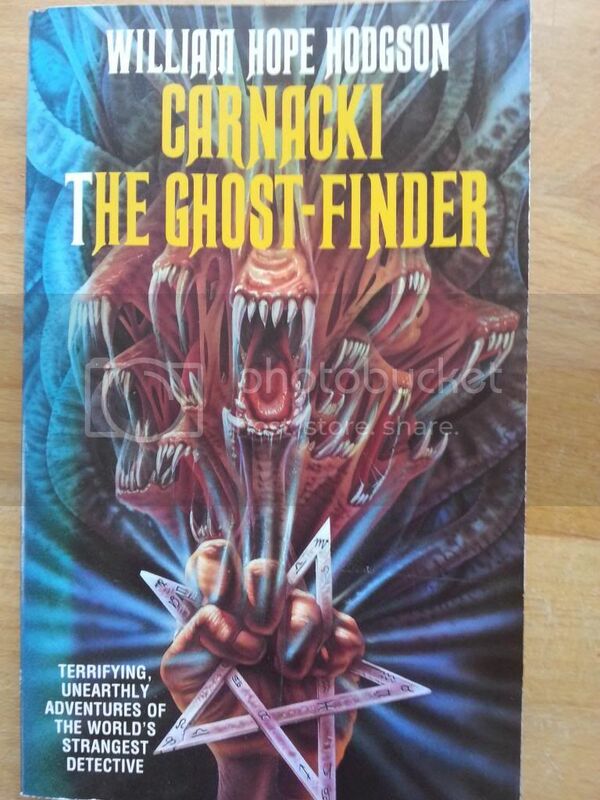 It's an image of the 1972 Tom Stacey Reprint edition of Carnacki The Ghost-Finder. This was the edition that I borrowed from my local library. I've always wanted a copy. This is my 500th post. 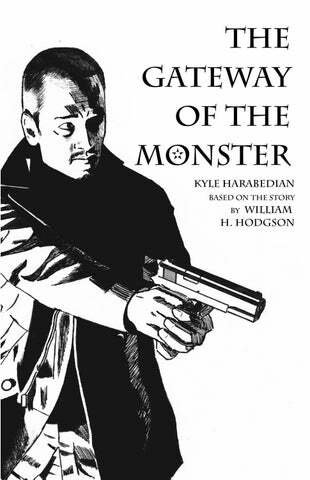 I've only discovered that Gary Gianni illustrated "The Gateway of the Monster" for Gary Gianni's MonsterMen and Other Scary Stories (2012). Is that Miles Malleson I see as a vicar? Thanks for that beautiful scan, Michael. Do you know if that drawing is by Gary Gianni or if it's actually from the original pub in Idler? I doubt the latter but I have never seen any issues of Idler, and certainly none from that period. A friend asked me about it, I think because of the ambivalence of the caption. My view is that this was simply identifying where the story first appeared. The drawing is by Gary Gianni. The appearance of Miles Malleson as the comedy vicar who doesn't appear in the story sort of gives it away. 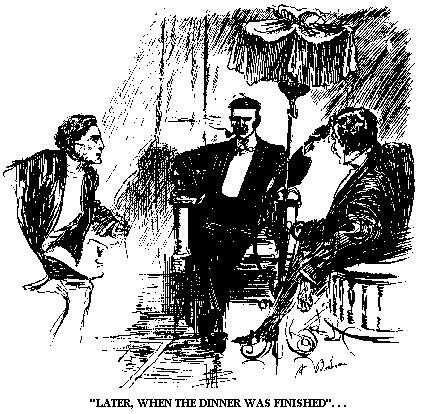 The story was originally illustrated by one Florence Briscoe. Thanks, Michael! That's a very cool link!